Whether you are looking for a unique piece of jewellery or you have family jewellery that you want redesigned, I would like the opportunity to work with you starting from collaboration of ideas and sketch work to final hand made design. 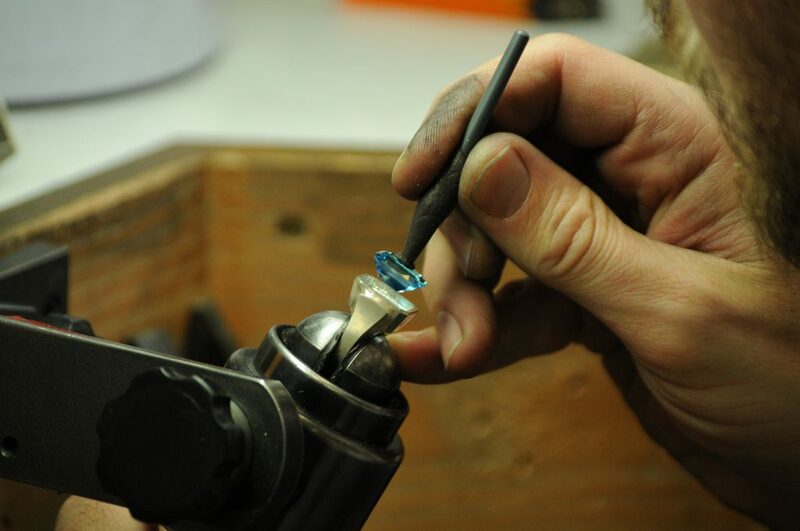 I am a European trained goldsmith specializing in handmade jewellery. Working in gold, platinum and silver, I utilize diamonds and coloured gem stones in my work. Having a piece of jewellery custom made is exciting but can be overwhelming when trying to decide on a design. I aim to make this process as easy and fun as possible. All design work starts with a conversation to help me understand what you would like made. Maybe you inherited a beloved ring from your grandmother or want your engagement ring redesigned. Perhaps it will have a significant personal meaning, or you want to wear it only on special occasions. After I establish what I will be making, I start with some rough sketches to get some ideas down on paper and see if anything appeals to your taste. When one or more ideas peek your interest I may elaborate more on these sketches and draw them to scale to give you a more accurate idea of what the final design will look like. We can go back and forth as many times as you wish, it is important to me that you are fully happy with your design. Feel free to contact me with any questions or enquiries you might have. Even if you have no idea what you would like made, I am more than happy to sit down with you and start playing with ideas and sketches until you get inspired.